As co-founder of Vertex Communication Group, Rob has dedicated much of his career to implementing eMarketing solutions for associations, nonprofits and publishers. In 1996, Rob entered the messaging field by joining a market leader in the space who specialized in Teleconferencing, Fax and eMessaging solutions. This is where Rob gained valuable experience in account management and customer service, developed relationships and exceeded his sales quotas every year. In 2002, Rob and fellow employee Andy Roberts decided to create their own company which gave them more control of their service offerings so they co-founded Vertex Communication Group, Inc. Andy and Rob have steadily grown the company, adding new services and key employees along the way. Rob received a B.S. Degree in Business Administration from West Virginia University in 1993. Rob resides in Haymarket, Virginia with his wife Jennifer and two kids, Jacob and Luke. He enjoys golf, boating and volunteers as a coach for his son’s soccer teams. 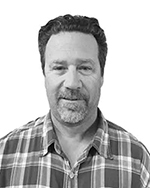 As co-founder of Vertex Communication Group, Andy is a sales veteran with over 15 years of experience in the enterprise software-as-a-service marketing technology space. He has consulted with some of the world’s largest and most recognized brands in healthcare, insurance, finance, retail, agencies, and non-profits. In 1996, Andy joined a market leader in Fax and eMessaging solutions. Andy was part of the initial roll out of their MessageReach email platform. He was responsible for a team of sales reps that comprised an area from New York to Florida. 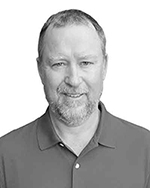 In 2002, Andy and fellow employee Rob Davies co-founded Vertex Communication Group, Inc.
Andy, a native of San Diego, California, received a Baseball scholarship to play at the University of San Diego and graduated with a B.S in Business Administration in 1989. Andy resides in Frederick, MD with his wife Kimmer and two boys, Hayden and Jack. As a recent empty nester, Andy enjoys doing whatever he wants with friends and family. Learn more about Andy on LinkedIn. As Senior Director of Sales for Vertex Communication Group, Jen has over a decade of experience in email marketing and technology solutions. She has managed some of the world’s largest and most recognized brands in healthcare, insurance, finance, retail, agencies, and non-profits. Her goal is to help her clients utilize technology to streamline work flows and maximize ROI. In 2002, Jen left her position as a career and technology educator to join the Vertex team. Jen, born and raised in Frederick, MD, received a swimming scholarship to University of Maryland, Baltimore County, graduated with a B.S. in Economics in 1996 and received her business teaching certificate in 2000. Jen resides in historic downtown Frederick, MD with her husband Jayson and two boys, Leonard and Edward. She is active in her community as a coordinator, volunteer and advocate. In her free time, Jen and her husband rehab historic homes and enjoy visiting the beaches in North Carolina. Learn more about Jennifer on LinkedIn. As the Senior Director of Key Accounts for Vertex Communication Group, Pat has over eight years of experience in email marketing and technology solutions. He has managed some of the world’s largest and most recognized brands in healthcare, insurance, finance, retail, agencies, and non-profits. In 2005, Pat left his position as a collegiate basketball coach at LIU Brooklyn to join the Vertex team. Pat, born and raised in Rye, NH, played basketball at Colby-Sawyer College and graduated in 1998 and received a M.A. from Adelphi University in 2002. Pat reaps the benefits of a mobile office and now works from the seacoast of New Hampshire. In his spare time, Pat is a high school basketball coach and enjoys surfing. Learn more about Patrick on LinkedIn.